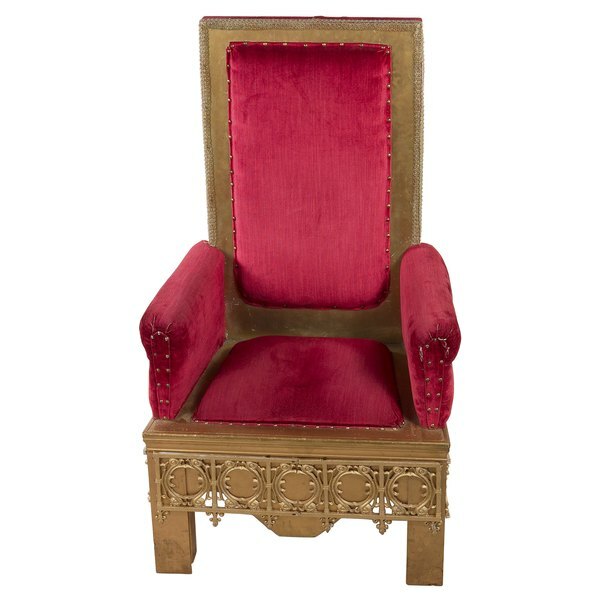 Make a royal throne for your party's guest of honor. 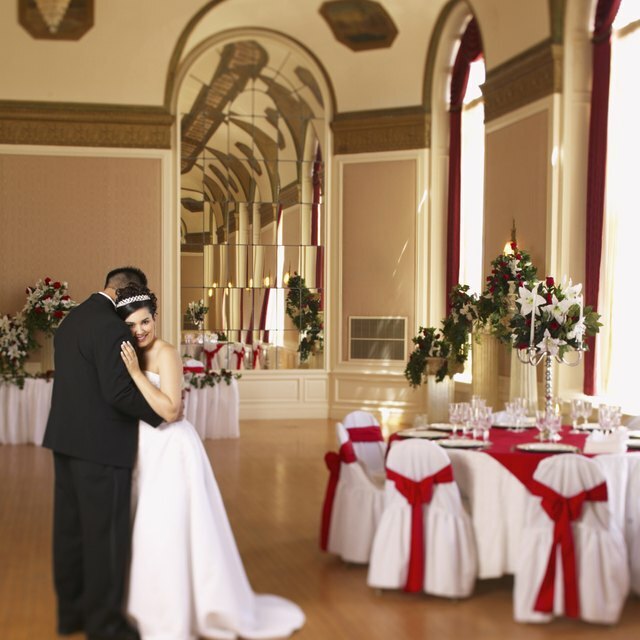 Take the time to celebrate a marriage that has lasted through the years with a special anniversary party that honors the enduring couple in your life. A royal throne to seat the guests of honor adds a festive touch to the joyous occasion. Instead of renting one from a party store, assemble one yourself with a few simple supplies available at your local fabric or craft store. Your guests are sure to appreciate receiving the royal treatment. Rent, purchase or borrow a high-backed dining chair. Wipe down the chair with a damp rag and let it dry. Place a cushion on the seat of the chair if the chair does not already have one. Slide a red velvet slipcover onto the chair or simply drape a large piece of velvet over the chair. Secure the fabric to the chair by pinning it in the back. Check that the fabric completely covers the chair legs. Attach gold ribbon trim to the edges of the red velvet with a hot glue gun along the chair back. Begin at the seat of the chair and go up along the outline of the chair back, finishing at the point of origin. Write the anniversary couple’s last name in gold glitter on the upper section of the chair back. Glue rhinestone jewelry or acrylic jewels to the chair back for additional dimension and color. Write the number of years the couple has been married in glitter on the chair back. What Is the Traditional Gift for the 39th Wedding Anniversary?